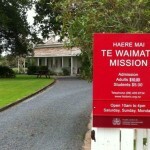 Waimate North is the only survivor of three mission houses founded in 1830 on behalf of the Church Missionary Society by the Reverend Samuel Marsden with the agreement of local Ngāpuhi. It holds some of the story of the earliest interactions between settlers and Maori in New Zealand. When this mission station was built in 1932, habitation was largely at the behest of local Maori. Well before the Treaty of Waitangi (1940), the confiscations of the Land Wars, and the tide of English settlement overwhelmed Maori, the world was very different, and that difference is reflected as I walk around the Mission Station. Two huge oak trees guard the entrance to the Church, but inside it is a native Puriri that catches my eye. 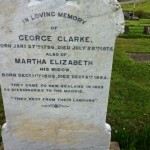 We wander around the graveyard seeking stories, and find a row of Clarks and Kings, clearly early missionaries. 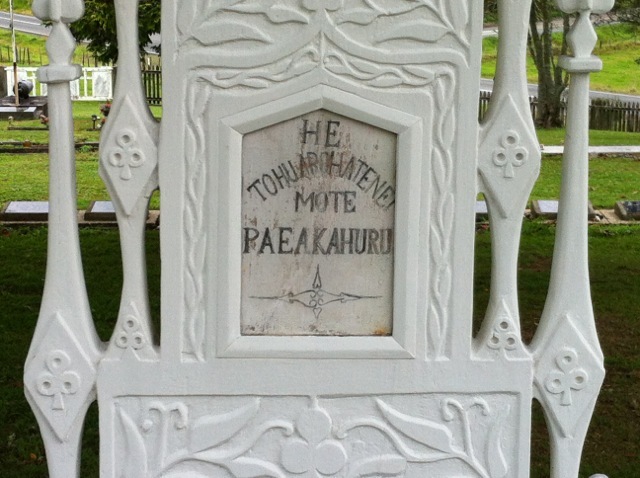 There are Maori buried here too, and one of the finest looking graves has been recently restored and belongs to Paea Kahuru. 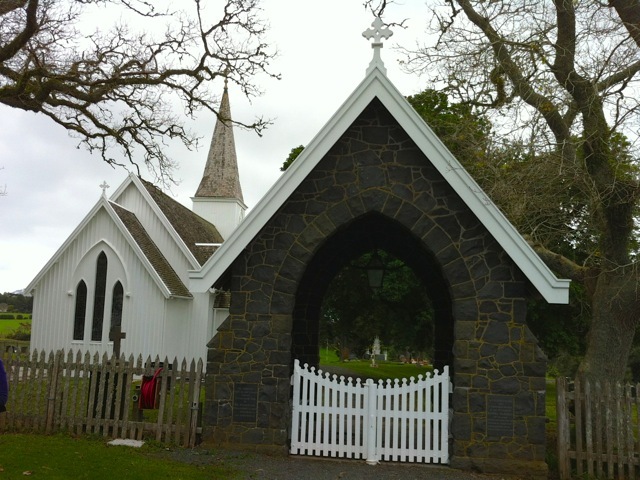 We were pleased to discover the Church was open – and although it is a unique historic building, it remains also a church used regularly for worship. 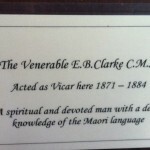 Inside most of the historical photos refer to the pakeha missionaries, and I note that Richard Davis who was in Waimate from 1830 had close links with Hone Heke until his death and Archdeacon Clark who was vicar from 1871 also had a deep knowledge of Maori language. 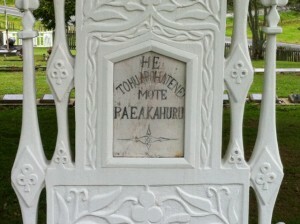 It would have been an interesting time to live in New Zealand, when Maori still possessed their own land and Pakeha missionaries were largely there under their patronage and with their permission. Two cultures living alongside each other, learning from each other, respecting each other. The Oak and Puriri.